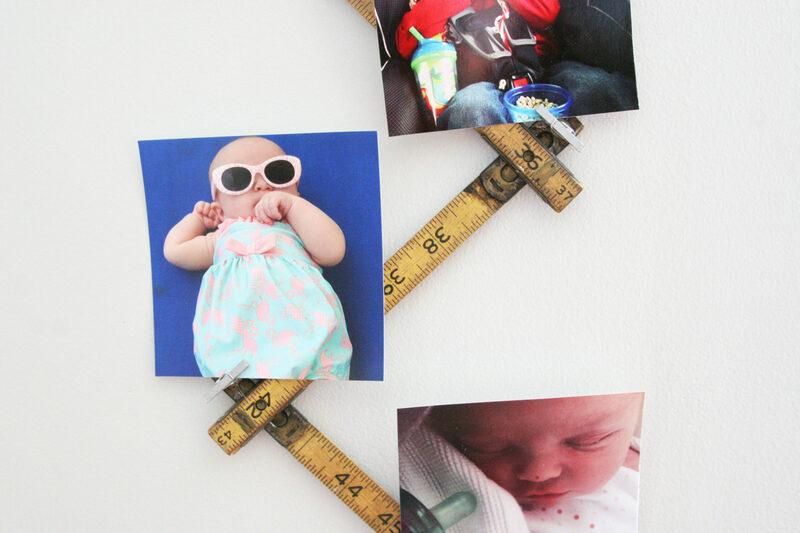 Are you guilty of never printing or displaying your photos? 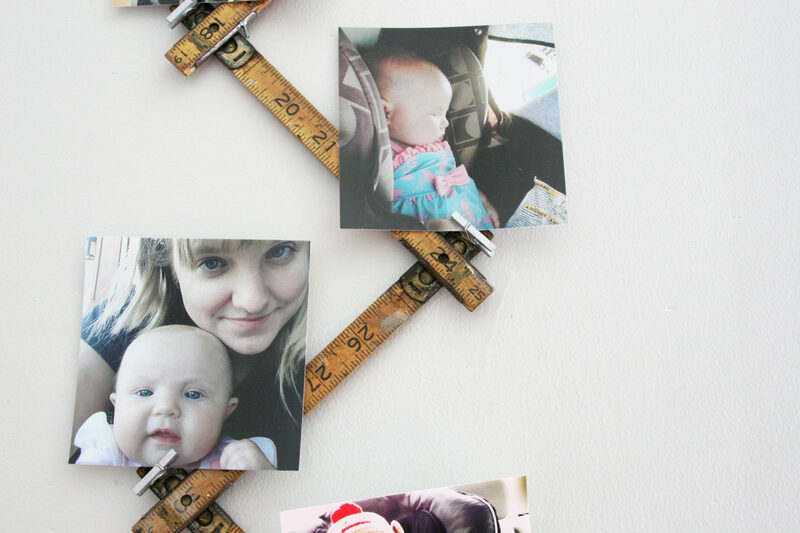 This DIY Photo Display will give you no excuse. 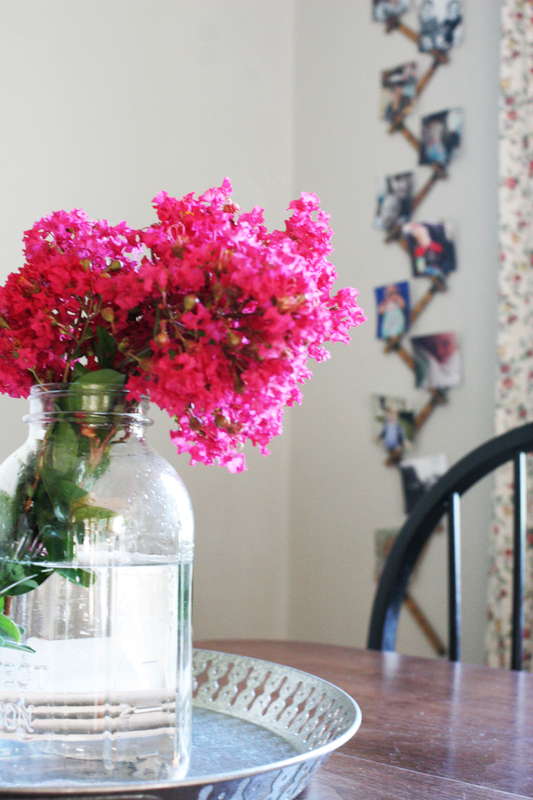 It’s an incredibly quick craft project — I literally completed it while also fixing lunch. #multitasking In fact, letting the glue gun heat up might be the longest part of the job. **Amazon Affiliate links are included in this post. Vintage folding rulers are readily available at thrift stores, flea markets, and antique stores. You could buy one on Etsy or even buy a new version from Amazon. I found mine a while back, and after completing this project… I might need a few more folding rulers! I’m just in love with the look. I chose silver clothespins to compliment the wall color in our Breakfast Nook. I wasn’t looking for a contrasting tone since the photos are the focal point — not the mini clothespins. Luckily, the instructions aren’t complicated for a 5-minute DIY project. The most important step is laying out the folding ruler in the way in which you’d like to hang it on the wall. There are actually many options for styling a folding ruler, besides the vertical zig-zag that I used. Such a wide range of creative ideas, right? I’m especially partial to that collection of folding ruler stars. 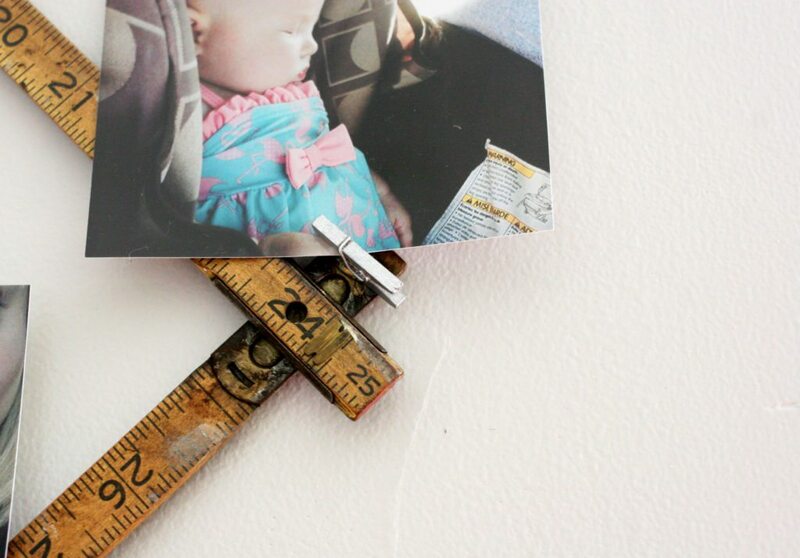 Once you’ve chosen a design for the folding ruler, attach the mini clothespins to the ruler using hot glue in the spots where you’d like to have photos mounted. Have you found a unique and creative way to display family photos? I’d love to see your ideas! 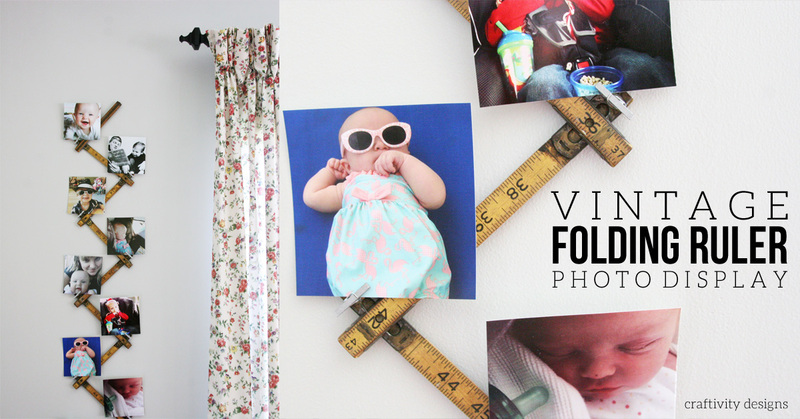 In a couple weeks, I’ll be sharing a round-up of DIY Photo Display ideas. Use the hashtag #creatingahome on Instagram and tag me, @lorabgreen, if you’d like to share! No, I haven’t. I am actually in the process of doing something about all those random picture frames and wall display things that seems so cluttered. They are still in boxes but I am going through and sorting. This is such a neat idea. And how fast and easy, too. It’s a big job, for sure! They are really neat! Totally unique and so many ways to use them. Plus, you can measure things, haha. I am borderline obsessed with this photo display! So unique and fun. Love all the other ideas for a vintage folding ruler, too! Pinning! Thanks, Sarah! I just found tons of them at a yard sale and it was sooooo tempting not to buy them all. Haha! Love this idea. I actually have one of these in my sewing kit, probably from my grandma. Now I have a fun use for it! Visiting from Remodelaholic. It would be a neat way to have your grandma’s item on display, too! Amazing idea, I want to try this. How did you fix the folding ruler to the wall? Once I bent it into a zig zag, I placed a couple nails in corners where the angles were, one at the top and one at the bottom. Just in the corner, not through the ruler. Then I added a couple dabs of sticky tack for extra stability.